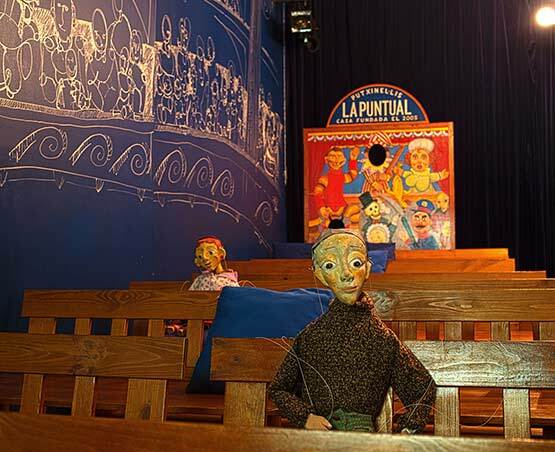 La Puntual is a puppet theatre, the only one in Barcelona dedicated exclusively to puppetry. Puppets of all kinds that take to the stage every weekend and perform stories and tales for family audiences. 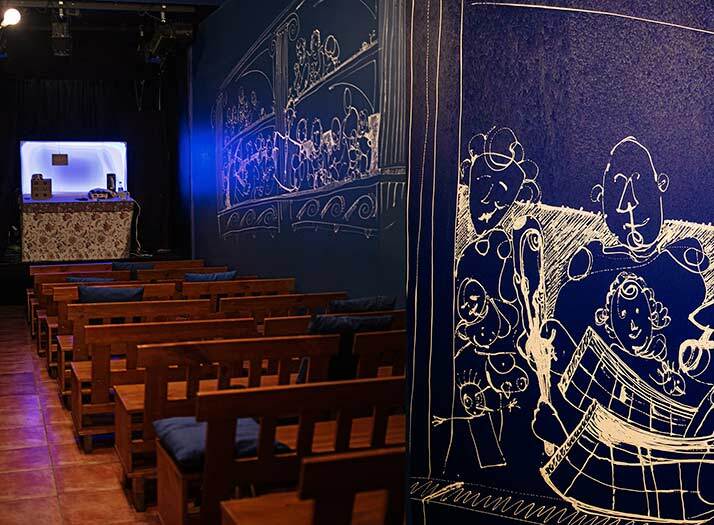 This cosy 50 seat theatre is located in the city centre, a short walking distance from some of the most visited landmarks and museums of Barcelona. 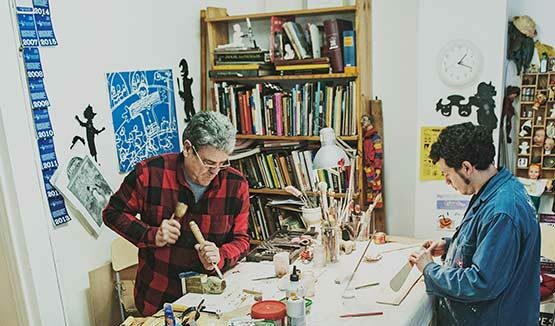 The Picasso Museum, the Born Cultural Centre, the Ciudadela Park, the Chocolate Museum are just afew of the nearby visits, all enclosed in a historical neighbourhood, one that enjoyed puppet shows in many of its cafés, squares and streets during the 19th century. 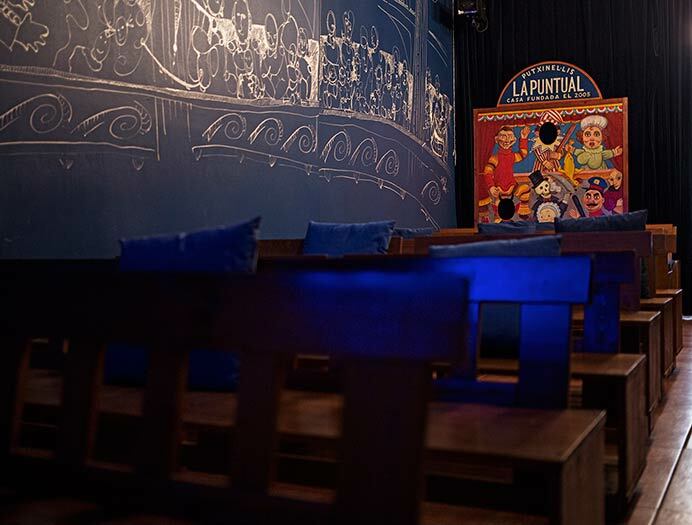 La Puntual owes its name to the play “L’Auca del Senyor Esteve”, written in 1907 by the Catalan modernist painter and writer Santiago Rusiñol, born around the corner from the theatre.  The plot of the play involves a family that has, for three generations, worked at the haberdashery shop called La Puntual. 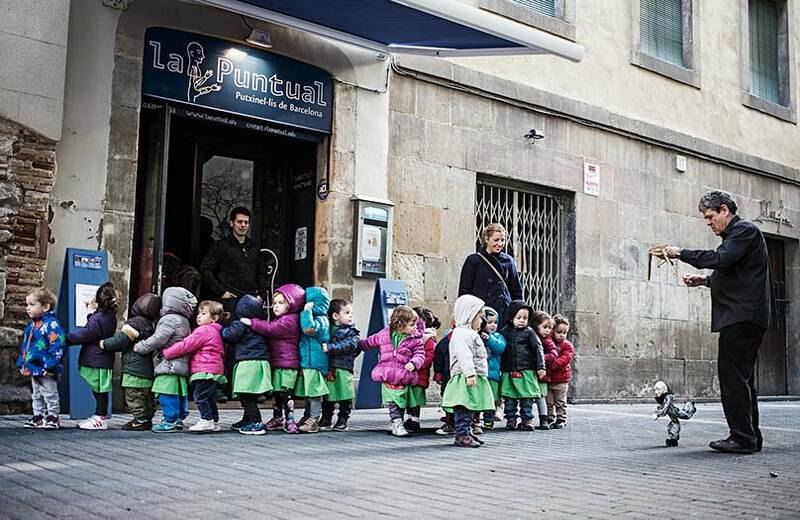 La Puntual is the smallest theatre in Barcelona, with a capacity for 50 spectators. It is fully air-conditioned and is an accesible venue including wheelchair facilities. The intimate and cosy atmosphere make seeing shows here an unforgettable experience. 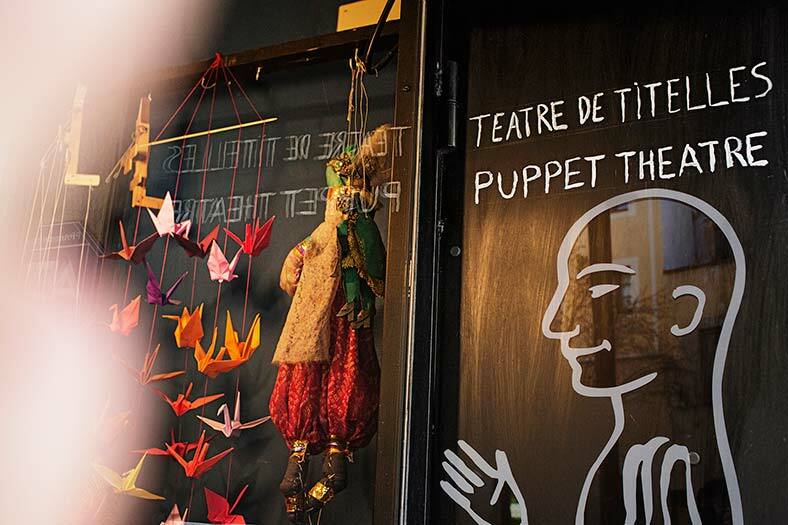 All productions by the La Puntual Puppet Company are designed, built and rehearsed at the company’s workshop/studio. Anybody interested can consult our specialized library, photographic archives and a modest puppet collection gathered during our many tours abroad. 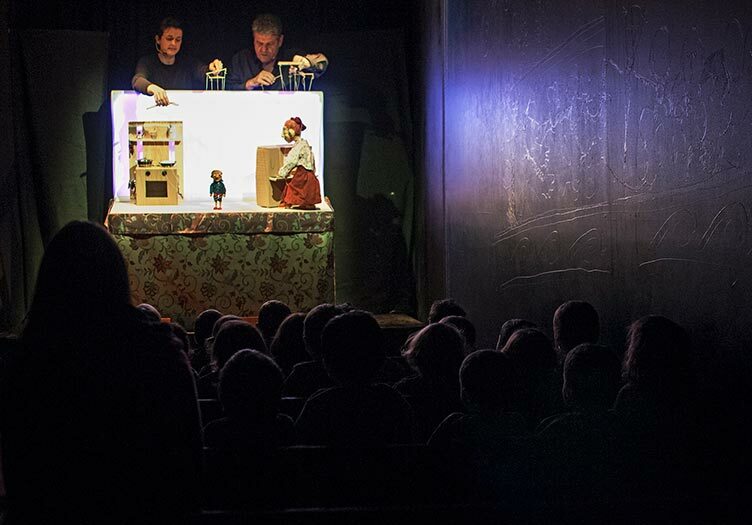 We occasionally organize master classes or practical workshops for professional and amateur puppeteers and teachers, as well as collaborate with other companies´productions. 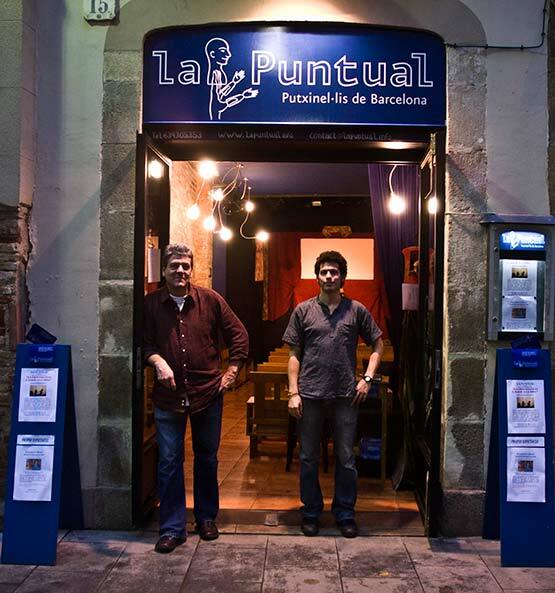 The La Puntual workshop is on the other side of the city, just where the Putxet hill begins. Visits are welcome prior appointment.